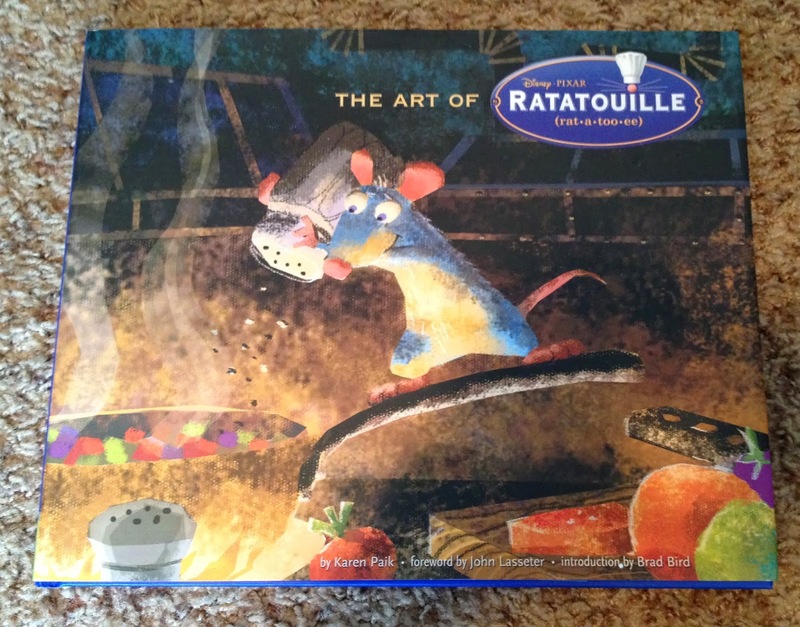 Here we have yet another phenomenal "Art of" book by Karen Paik and Chronicle Publishing...The Art of Ratatouille! Ratatouille is an absolute beautiful film, from the all aspects of the animation to the story to the musical score, everything is just about perfection in my eyes. Director Brad Bird and his creative team did an outstanding job at bringing the simple (and at first, maybe a bit odd) premise of "a rat wants to become a chef" to the screen. It's truly an inspiring film with a beautiful message and tremendous heart. It's a great experience reading through this book as you really feel the love and dedication that went into it. The art (like the film) is a real treat to look at and, as always, it's fun to see concept art of abandoned ideas and designs. This well made, hardcover, 160 page book goes in depth into the making and art of the film. From the very beginning concepts to deciding on one of the many logos created for the film's release. It also includes a foreword by John Lasseter and an introduction by Brad Bird that you won't want to skip by. Ratatouille will forever be an instant classic and a favorite amongst Disney/Pixar fans. If you love this film as much as I do, go ahead and pick this up on Amazon for $30.00. I haven't read through the entire book yet, but I can guarantee you will not be disappointed. Please, if you have any questions or comments, shoot them off below. For other ways to contact me, use the "Contact Me/Social Media" page above. If you're interested in other Pixar books that I own, click the "Books" label to your right. As always, thank you very much for visiting this blog. I really appreciate the support! Feel free to come back daily as you won't want to miss the many more items coming soon!